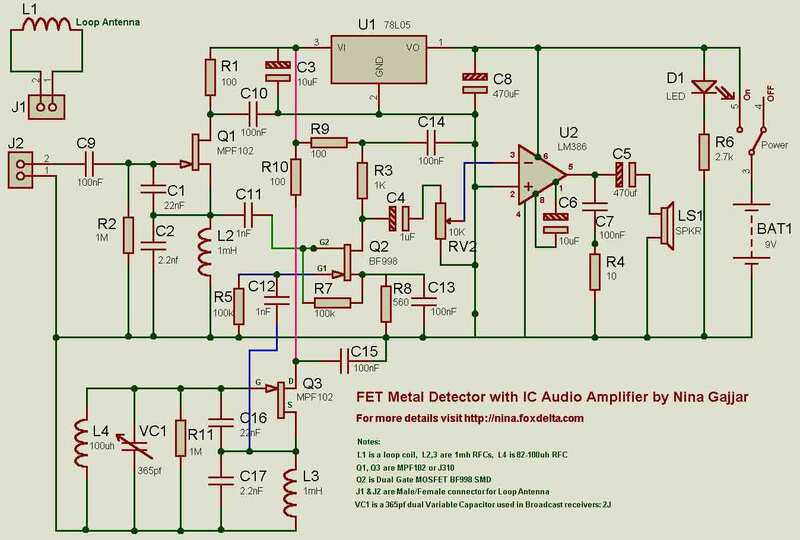 This is a very simple and effective Electronic Circuit Project for Zero beating Metal Detector Circuit Diagram. Both oscillators are built using PF102 or J310 FETs. The Mixer is BF998 dual gate MOSFET. 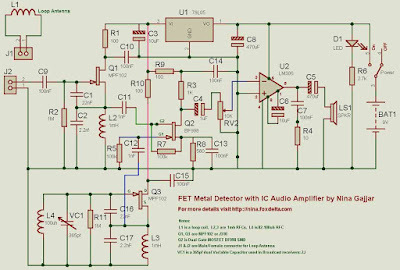 Audio IC amplifier is LM386 which drives a speaker. I have used a stabilized supply for two oscillators and mixer. U1, a 78L05 is doing this job nicely. Circuit is being designed on a Single Sided Glass Epoxy Printed Circuit Board. It will be using PCB mounted volume control and a variable capacitor to tune the oscillator. (or varicaps & a pot) However, final design may change. You will have to wind the Loop Coil yourself.